In 1923, two brothers—Henry and Helal Hassenfeld—founded Hassenfeld Brothers, a textile remnant company in Hasbrouck Heights, New Jersey. Over the next two decades, the company expanded to produce pencil cases and school supplies. In the 1940s, Hassenfeld Brothers produced doctor and nurse kits, its first toys. Hassenfeld Brothers' first toy hit was Mr. Potato Head, which the company purchased from inventor George Lerner in 1952. The toy was a smash success. In 1964, Hassenfeld Brothers produced the G.I. Joe toy, which they termed an "action figure" in order to market the toy to boys who wouldn't want to play with "dolls." 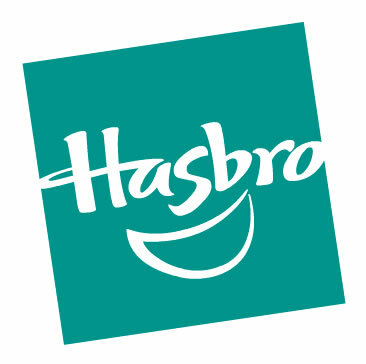 The company shortened its name to Hasbro Industries in 1968. The company's promotional efforts included the catchphrase "Boy Oh Boy! It's A Hasbro Toy!" in television commercials and prints ads. In 1969 Hasbro bought Romper Room, Inc. and re-branded it as Claster Television Productions. In 1982, Hasbro produced another successful toy franchise, My Little Pony. The company acquired the Milton Bradley Company in 1984 (and operated under the name "Hasbro Bradley" until 1986), bringing The Game of Life, Candy Land, Twister, Chutes and Ladders and Yahtzee into the Hasbro fold, and found continued success in 1984 with the release of the first Transformers toys. The Transformers Jumpstarters toys were the subject of a lawsuit by Hasbro in 1985 where they sued a toy manufacturer for selling toys based on their design. Hasbro won the suit. In 1985, CBS Toys was purchased. In 1986, Hasbro acquired Playskool, which purchased Mr. Potato Head from Hasbro that year. Parker Brothers was purchased by Hasbro in 1991, and with it Monopoly, the most successful commercial board game of all time. The largest subsidiary of Hasbro was probably Kenner . Kenner was the toy company that was behind the success of the Star Wars, Play-Doh, Super Powers, M.A.S.K., Strawberry Shortcake and Care Bears toy lines. When Tonka and then later Hasbro acquired Kenner, the Kenner location became the foremost producer for Hasbro "boys toys", leading production on the high-profile lines of 12" G.I. Joe releases of the nineties, and the Transformers, Batman and Star Wars toys. However, after sales declined in 2000 after the Star Wars toy market saturation implosion, Hasbro faced a difficult decision in cutting back its spending in order to continue to cater to their primary buyers. They decided to close the entire Cincinnati plant, relocating about 100 employees and laying off over 400. This decision, while good for Hasbro, created a ripple effect on the Cincinnati job market which continued to push businesses out of Cincinnati, which, with Procter & Gamble and Hasbro, had managed to be the midwest city for corporate advertising and graphic design. In the early 21st century, Hasbro allowed for the use of Mr. Potato Head in a community art project similar to those with cows in Chicago and pigs in Cincinnati. Painted and reoutfitted versions of Mr. Potato Head by various artists sprouted up all over Rhode Island and were welcome additions in front of businesses and buildings (including a New England staple, Dunkin' Donuts) for the duration of the project. Hasbro created licensed Bob the Builder characters, included talking characters and others to go with the Bob the Builder line, but was discontinued in 2005 when Learning Curve took the chance to take over. In 2007, the Frankford Candy & Chocolate Company acquired Cap Candy from Hasbro. 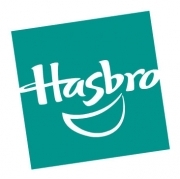 Hasbro Studios is the Los Angeles-based production division of Hasbro, Inc.. The "virtual" studio develops and produces shows based on Hasbro's brands, including Transformers, My Little Pony and G.I. Joe. It also delivers new branded content and produces programs from third-party content creators. Hasbro is collaborating with Discovery Communications on The Hub, a new cable network which began on October 10, 2010. Hasbro will also produce Marvel Comics toys until 2017. The Walt Disney Company's purchase of Marvel in 2009 came as a blow to Hasbro, as it is likely Disney will give the Marvel license to their rival Mattel. Hasbro had also hoped their collaboration with Marvel would pad out their channel's schedule with Marvel cartoons. Whole or part of the information contained in this card come from the Wikipedia article "Hasbro", licensed under CC-BY-SA full list of contributors here.